Are you tired of the smell of coffee and endless sounds of grinding beans? Tired of looking for a seat with a place to plug in? Or maybe your business needs to move out of your living room and into a place where you have a more professional perspective. You're a hardworking, independent professional. You like to focus on your projects and need the space to do it. 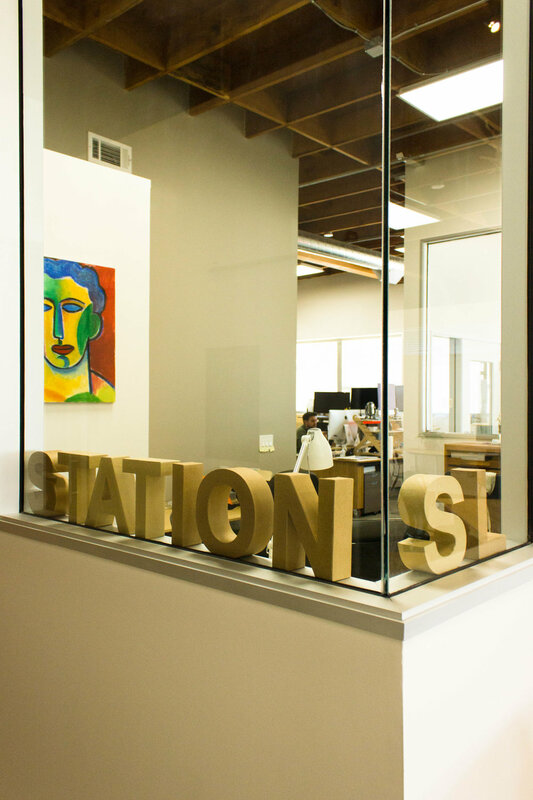 Station SL has the place for you. We have plenty of ergonomic seating with wide work surfaces. Perhaps you prefer a window spot. You can work there. Station SL offers refreshments for our members - caffeinated and non-caffeinated. You can jump start your day with fresh coffee or tea, then settle down to a productive work session. There's also a community kitchen to chill your bag lunch if you are economizing to save up for that next step. Share a household? Share a membership! Maybe there are two of you with a shared vision and a shared household. Maybe there are two of you working on different projects and need a space to work on them. This can be the solution. Two people with the same address join together and have the option to work together or separately. Monthly membership includes the same benefits that individual members enjoy. Just need a day connection? Or working on a short term project? Or maybe you want to try us out for a bit? We offer day passes for those just needing a short term commitment. You can buy day passes for a single day or in a bundle of 5 passes for a month. You get the same access to open work stations, beverages, and lightning fast wifi. Day pass purchase also allows nonmembers to reserve the conference room or meeting room. Just buy the day pass, go to the booking calendar and reserve your meeting space.